Mepham on cusp of Bournemouth transfer? 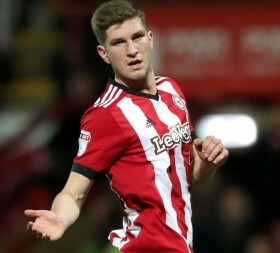 Brentford defender Chris Mepham is wanted by Premier League side Bournemouth in the January transfer window, with the club prepared to pay around £14 million to sign the talented centre-back. Bournemouth are confident that they can beat Watford, West Brom and French side Lille to Mepham's signature. Bournemouth manager Eddie Howe has been monitoring Mepham for some time and had made a transfer offer for the defender last year, only to see the bid rejected by Brentford. However, it is understood that Mepham wants to make a move to the Premier League and the Welsh international has instructed his agent to help push through a move to the Cherries. The 21-year-old defender, capped four times by the Welsh international side, is seen as the best defender in his country and Bournemouth are hoping to add Mepham to their list of transfer signings having already secured a deal with Liverpool for Dominic Solanke. Mepham has 18 months remaining on his contract with Brentford but has informed the club he has no desire to stay, particularly with the Championship's hopes of a promotion to the Premier League looking difficult.